Which to buy: food processor or mixer? For those who tend to cook a lot of savoury recipes, food processors will save you time by blitzing ingredients to your desired level with a range of attachments and blades. They tend to look similar to that of a blender, and you can get different sized ones depending on the variety you want from your processor. Food mixers, on the other hand, are a baker’s best friend. These allow you to whisk and whip ingredients and usually come in the form of an electronic handheld device or a machine with a mixing bowl attached. Features to look out for when buying a food processor or mixer? Think about ease of use. The whole point in a food mixer or processor is to make your life easier. With that in mind, look out for devices that are easy to use and subsequently easy to clean. Some parts may be dishwasher safe, while others are not, and some machines are louder than others, which could just be even more annoying than having to chop up your ingredients yourself. What does a food processor or mixer cost? For a top quality food mixer or processor, they can cost anything between £100 to £800, but there are plenty around for those on a budget, too. The price does not always reflect the quality, so it is important to look for the features you want and consider what you want to use it for before buying something expensive that doesn’t cater to your needs. If you’re an avid baker, this professional mixer from Sage by Heston Blumenthal is a must-have gadget. Allowing you to mix a range of different ingredients quickly and easily, you'll be making everything from thick dough to delicate fluffy meringues in no time. It has a timer meaning you can leave this mixer to work its magic, allowing you to become the ultimate multi-tasker. If you fancy yourself a bit of a Mary Berry, then this KitchenAid 175 Artisan Stand Mixer is the ultimate tool for you. It comes in a huge range of colours to suit all styles of kitchen, and a range of attachments so you can whip up anything from frosting to creamy mashed potato. Although pricey, if you are passionate about baking, this is a stunning food mixer that will look good and stand the test of time on your kitchen worktop. For a super quick way to blend up smoothies, make purees or simply chop up veg to make soup; the Ninja Ultimate Chopper is a versatile tool for all of your food prep needs. It is extremely powerful so make sure you choose the right setting for what you need in order to get the right consistency. This food processor comes with a range of additional accessories as well as the blades, giving you variety when cooking. If you want a food mixer and processor but don’t want to spend money on two different devices, then this is a great multi-function device that will give you the best of both worlds. This large capacity food processor comes with many different attachments and accessories that are ideal for making all kinds of dishes and preparing food. Although a little fiddly to use some on the blades, it's great value for money and will save you space on your kitchen counter. 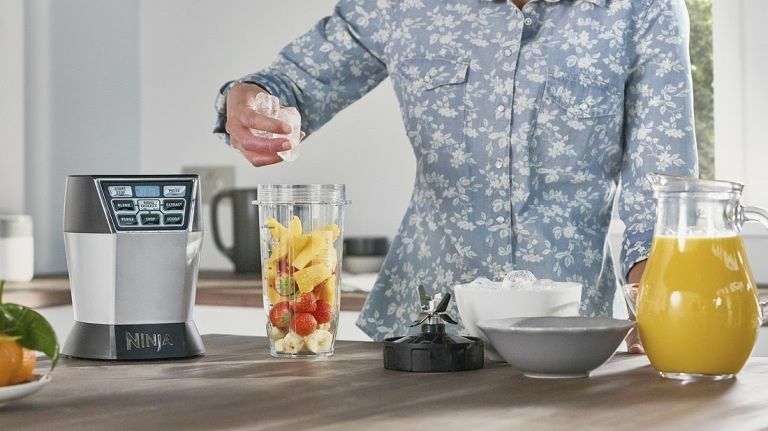 If you like the sound of the Bosch MCM62020GB Food Processor but it’s a little out of your price range, then the ElectriQ 10-in-1 Multifunctional Food Processor is the one for you. Although not as large or sturdy, its a fraction of the price, making it one of the best food mixers and processors for beginners. If you’re thinking about experimenting in the kitchen with baking or cooking healthy meals, then this device will allow you to quickly prep your ingredients with minimal fuss. Make the smoothest, thickest dough around with the Kenwood kMix KMX754 Stand Mixer. Its high capacity bowl is made for serious bakers who want to make large quantities of dough – ideal for pizza, cakes and much more. All of the attachments and bowls are dishwasher safe, making this food mixer extremely low maintenance and easy to use. If you are very particular about your chopping and slicing, this food processor will ensure everything is cut to perfection with the range of attachments in different shapes and sizes. Although not as powerful as some other devices, its still able to process a number of different ingredients into different consistencies for the perfect blends or slices. Available in a range of colours to suit all kitchens, all bowls and blades are dishwasher safe for easy clean up.